As a senior executive at a global mining services firm, Quirin Schwaighofer travelled extensively across Australia. He listed his Sydney apartment on Airbnb. But, being away from home, he found managing his property was a hassle, and maximizing rental returns and delivering a five-star experience was almost impossible. So, in 2015, together with his friend and co-founder Sabrina Bethunin, he started up MadeComfy. Now, in less than two years, MadeComfy is set to become Australia’s largest short-term rental management company, with 200 properties on its books and close partnerships with sharing economy giants like TripAdvisor and Airbnb. Designed to make short-term renting easy and hassle-free, MadeComfy professionally manages properties for private renters, managing listings, booking services, communications with guests, check-ins, check-outs, and cleaning. The Sydney-based startup claims it boosts rental returns from properties listed on platforms like Airbnb by at least 40%. 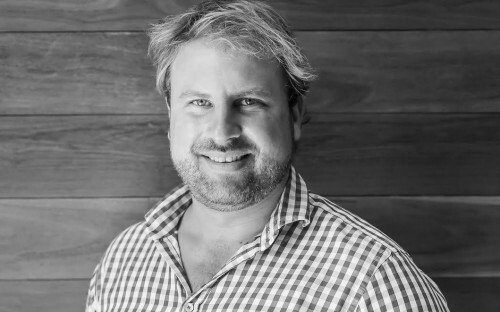 Quirin – originally from Germany - came up with the idea for MadeComfy after an Executive MBA at the Australian Graduate School of Management (AGSM). After completing his studies in 2012, he was promoted twice within 18 months, becoming general manager of his mining firm before moving on to start his own business. He’s just completed his third investment round for MadeComfy, raising over $1 million in funds. How did the idea to start up MadeComfy come about? I came to the point in my career where I was not developing myself anymore and was no longer getting challenged in my corporate position. It was always my dream to start my own business at some point and I thought the time was right. I was travelling a lot and came across Airbnb. I did some research and was impressed by how much money you can generate with your property! I listed my Harbour View apartment in Cremorne Point the same day, however, I realized quickly that Airbnb is a lot of work and I was just too busy to manage my property efficiently. My friend Sabrina was helping me but that was not sustainable. We thought that there must be a solution to host your home or investment property if you are time poor or don’t want the hassle. So, we founded MadeComfy! Where are you at right now? What do you hope to achieve? Since launching, we’ve had an incredible ride, doubling in revenue every quarter. We’re now completing our third investment round raising $1.1 million. Our current key focus, alongside increasing sales and cash flow, is to develop a customer-centric culture; a key part of our growth strategy. By the end of this year, we will be Australia’s largest short-term property management company with close to 1,000 properties, and we will have further strengthened our close partnerships with Airbnb, TripAdvisor and CBA. Stop thinking about it and start executing today! So many people think about their business idea for months, if not years. 99% of your future success is in the execution and the feedback you get from your customers. The earlier you get that the faster you can adopt and improve, and the faster you get to the point where you can charge for your product or service. Ultimately, starting your own business is really, really hard, there is nothing to compare it with. Whilst you hear so much of the success stories where founders raised $x million and made a big exit, you don’t hear from the thousands of startups that fail because they were not able to generate cash or ran out of cash. Cash is king! Why did you decide to pursue an Executive MBA at AGSM? When I started my MBA, I was living in Perth and the most common choice would have been Curtin University, as most of my friends joined their MBA program. However, I did some research and came across AGSM. I was impressed by the flexibility AGSM offered through the multiple locations of residential classes in major cities. I was also impressed by the high quality of students and alumni, as building my personal network was a big reason for my decision to pursue an MBA. The fact that AGSM was very well-ranked rounded up my decision. Would you be where you are today without the AGSM EMBA? The AGSM EMBA helped me to build the mindset and fundamentals that enabled me to found MadeComfy and successfully raise over $1 million in funds without prior experience. It helped me identify my true goals in life, build a strong network, and form close relationships with highly successful and inspirational people.